Our motto is to help build happy homes for those who are outside the formal income circle. We do this by extensively engaging our customers in a discussion about their life story - where they come from, what they do, how they earn, spend and save. Taking a holistic view of the customers and their nod on what they can pay every month as an EMI, we introduce them to the world of formal housing finance - solutions that best fit what they need. With the sole purpose of offering customised and affordable housing finance solutions, we believe everyone deserves a better and safer home to call their own. Is to be the Mortgage Lender of choice for families with Informal Income. Shubham’s sole mission is to provide housing loans and finance solutions to families with informal incomes through new age credit programs which do not require individuals to provide any income proof on paper. 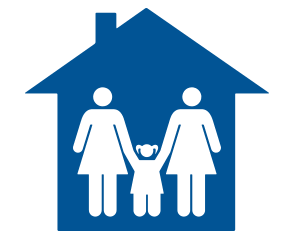 With our credit program, we would want every family to own a home of their own, even though they may be outside the formal income circle. Our goal is to enable families to have better and secure future and drive financial inclusion within this segment.